Harvest season is here! From the Hudson Valley to Buffalo, you’ll find tasty treats and delicious eats throughout New York State this Fall. Cooler temperatures mean sweater weather, hot cups of tea, and of course—apple season! Whether they’re in pies, cider, or munched right after picking, apples are always a palate pleaser. Some of the best apple orchards are situated right outside of New York City, in the beautiful Hudson Valley. 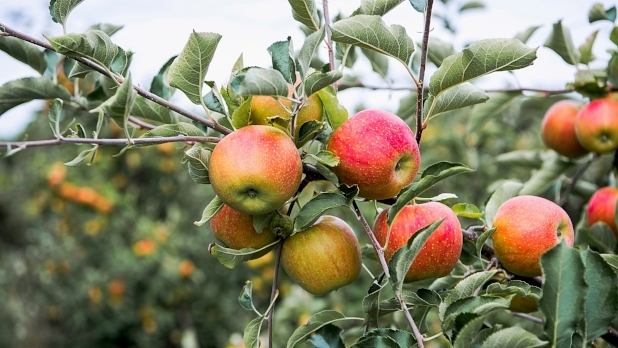 Dr. Davies Farm is home to more than 4,000 apple trees spread across 55 acres. Picking poles are available, but the kiddies should be able to manage as the orchard has plenty of low-hanging fruit. (The farm is cash-only.) With gorgeous views of the Catskills in the background, you can pick-your-own apples in September and October at Greig’s Farm. For lunch, head to the market where the menu showcases Hudson Valley produce, cheeses, meats, and kid-friendly offerings like seasonal flatbread. Hurd’s Family Farm caters to the season. 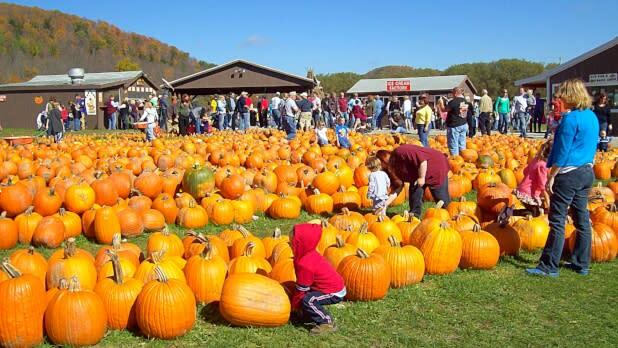 Expect plenty of apple-picking opportunities, a two-acre corn maze, a playground, nature trails, and a cow-train ride. Kids can try the big-apple bounce air pillow, slide down a sand mountain, pedal trikes, meet farm animals, feed fish off a dock, and take on a giant slide. For adults, Bad Seed Co and the Angry Orchard brew delicious and crisp hard apple cider, and they offer tastings, tours, special events, and more. Stay at one of the highest rated places in Hudson, The Croff House, or the idyllic Mohonk Mountain House. If romance is the theme to your weekend, look no further than Mount Merino Manor—check-in, relax, and take it all in. Stay nearby at the gorgeous and historic Heather’s Inn or the lake-facing Hotel Lenhart—make sure you take time to relax in the rocking chairs and view a stunning sunset. As the weather shifts from warm summer days to the crisp autumn air, the Buffalo Niagara region delivers an entirely new seasonal experience. 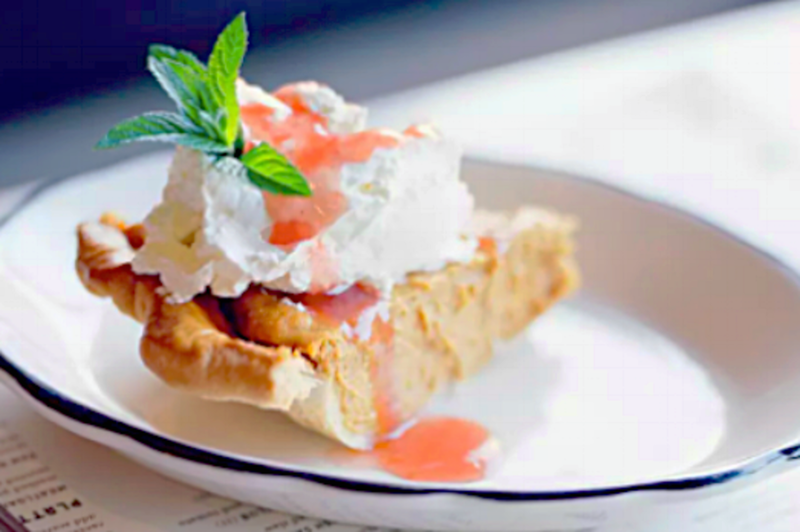 For the sweet tooth in us all, Buffalo is a perfect destination this fall. From chocolate to ice-cream, Buffalo is not to be missed. Start at Platter’s Chocolates with a walking tour of the factory that highlights the history, production, and art of chocolate-making. Tour participants will see each step of the chocolate-making process, talk with chocolate experts, and enjoy samples of Platter’s famous sponge candy—a crunchy sweet unique to the region. 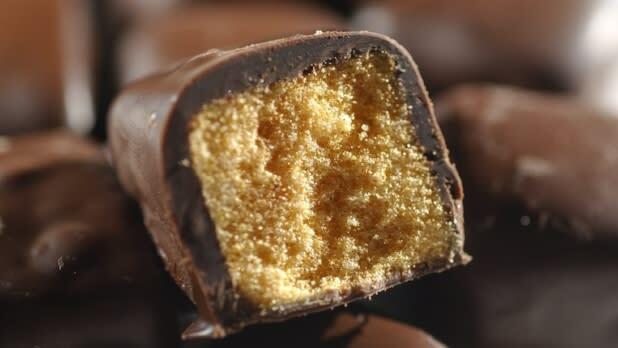 Condrells is the self-proclaimed "Candy King of Buffalo." Try the Buffalo Snowballs, Buffalo Chips, or the Sea Salt Caramel Shakes. Anderson’s Frozen Custard has handmade ice-cream, signature frozen custards, and a featured sweet of the month. If all that candy has given the kiddies an energy boost, walk off the chocolate with a hike at Eternal Flame at Chestnut Ridge or Knox Farm Skate Park. Visit Akron Falls Park where you can bike through the woods or play baseball or softball. Take in all that nature has to offer with a stroll through the Reinstein Woods Nature Preserve. Check in for the night at the historic Roycroft Inn or the luxurious boutique hotel Mansion on Delaware. The kids will love Darien Lake Theme Park Resort with a theme park just moments away from the hotel door! 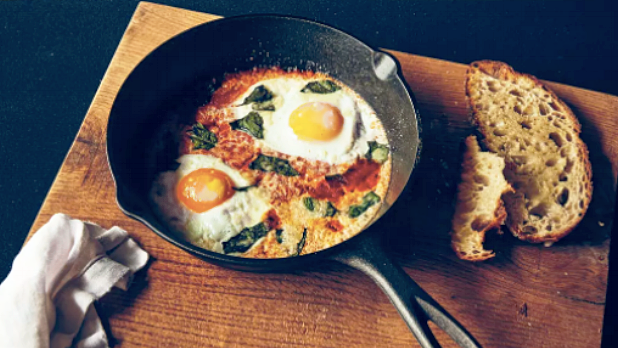 With so many local farms and farmers’ markets, and the rise in popularity of local eating, the Catskills has become one of the top culinary escapes in the nation. While exploring the beautiful Catskills this fall, there are a few farm-to-table restaurants not to be missed. The Heron in Narrowsburg is open for brunch and dinner and incorporates the agricultural resources of the region into its menus as much as possible. Table on Ten serves up a cuisine that creatively combines many different flavors of the Catskills. Deer Mountain Inn in Tannersville offers rustic and luxurious lodging, as well as an excellent menu with a variety of simple and small plates with locally sourced ingredients. Peekamoose Restaurant & Tap Room is the founding establishment of farm-to-table restaurants in the Catskills and has paved the way for many. The Tavern at the Arnold House in Livingston Manor has a cozy pub-like atmosphere and a standout menu with ingredients like trout straight from the Beaverkill River. Lucky Dog Farm & Café utilizes fresh, local, and organic ingredients, many of which come from the Lucky Dog Farm. 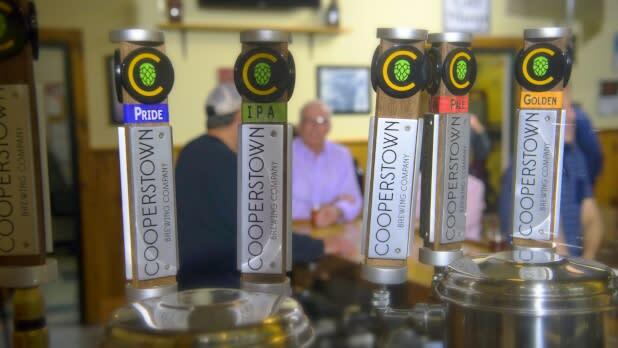 Cooperstown is a lakeside getaway perhaps best known for the Baseball Hall of Fame, but it also has a rich brewing history. Upstate New York has been fertile ground for American hop production since before Prohibition, and the culture stands strong all these generations later. Start tasting your way through Central New York’s best brews at Brewery Ommegang, where you can grab a bite from the cafe before taking an insider&apos;s tour of one of New York&apos;s best Belgian-style craft breweries. If you can pull yourself away from all that deliciousness, continue on to nearby Council Rock Brewery, then pop over to Cooperstown Brewing Company before ending your day lakeside with a burger and pint at Hawkeye Bar & Grill. The area&apos;s most famous non-beer attraction is, of course, the Baseball Hall of Fame, definitely worth a visit while in town. But there&apos;s plenty more to see, including the historic Farmers Museum, the Fenimore Art Museum, fishing on Otsego Lake, and hitting the links (or perhaps just the spa) at the Otesaga Resort Hotel. Another option for those looking to make a weekend of it is the nearby Lakes ‘N Pines Motel, offering hours of entertainment with water sports, paddle boats, fishing, and swimming in both indoor and outdoor heated pools. If you love a beer, and are ready to take relaxation to the next level, a trip to Cooperstown is perfect for you this fall!